Bad news for Windows XP lovers, Microsoft declared that they will officially end support for Windows XP and Office 2003 in two years--on April 8, 2014, to be exact. 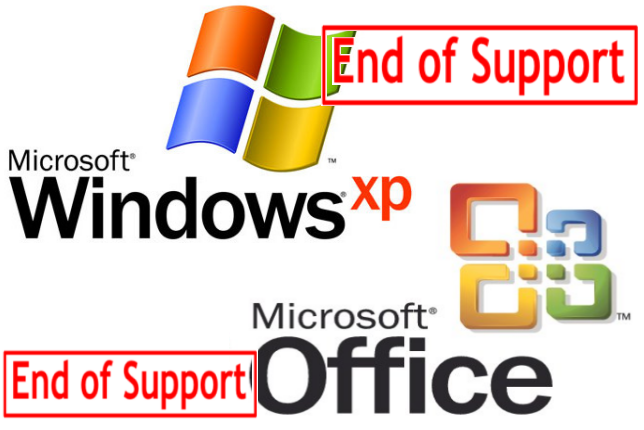 Additionally, mainstream support for Windows Vista ends Tuesday. That means the few Vista users that are out there will be charged on a per-incident basis for support going forward. "If you still have some PCs running Windows XP and Office 2003, now would be a good time to start migrating them to Windows 7 and Office 2010," said Stella Chernyak, a marketing director in Microsoft's Windows group. "Windows XP and Office 2003 were great software releases in their time, but the technology environment has shifted. Technology continues to evolve and so do people's needs and expectations. Modern users demand technologies that fit their personal workstyle and allow them to stay productive anywhere anytime, while businesses have an ever increasing need to protect data and ensure security, compliance and manageability" - she added. But there's a large amount of users still using XP up to SP3, and not everyone will be happy about having to upgrade. And enterprise deployment can take anywhere between 18 to 32 months from business case through full deployment, so those who want to stick with Windows and Office should begin planning, well, now. The company recommends switching to Windows 7 and Office 2010 rather than waiting for Windows 8. Microsoft wants to facilitate that migration and is thus offering a free download of the Microsoft Deployment Toolkit. It will assist with new deployments of Windows 7, Windows Server 2008 R2, Windows Vista, Windows XP, Windows Server 2008, and Microsoft Office products.